According to police, 5 people were shot during a night memorial service in Syracuse, upstate New York. Among the victims were 2 children, an 8-year-old and 14-year-old. Emergency services raced to the crime scene on Midland Avenue shortly after 9.00PM local time where they found 5 people with gunshot wounds. Witnesses said that around 50 people had gathered outside a house to commemorate the death of a relative who had died several days ago. When shots broke out, the neighbors ran into the house. According to the Post-Standard, neighbors’ accounts of the shooting indicated between 10 and 15 shots were fired. “We have five victims total. The ages range from eight years old to 35 years old, both male and female victims,” Syracuse Police Chief Frank Fowler told reporters, CNYCentral, a local NBC and CBS TV news affiliate, reported. Fowler, however, declined to disclose the details of the shooting, citing the ongoing investigation into the incident. Also, the police representative added that there is no suspect information at this time and that all of the victims were in a stable condition. 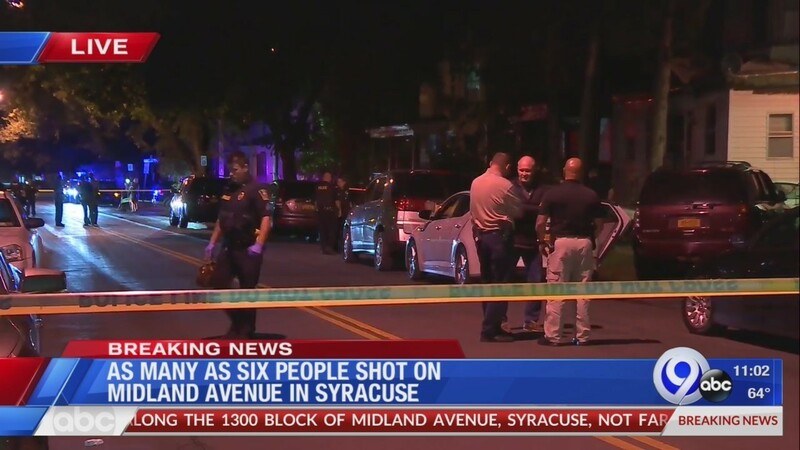 Shooting in Syracuse has become a great shock not only for citizens but also for officials. Mayor of Syracuse Ben Walsh claimed ‘I’m angry, the chief is angry, the people around us is angry. We will find those responsible for this crime. This violence has to stop.’ According to the police, they still don’t have suspects in this crime that makes the case more complicated. Provide security and help delivery of justice to citizens is the main task of law enforcement agencies in a criminal justice system. Such an important job mandates law enforcement officers are provided with access to the best tech available to help them fight crime. Developed by Brainwave Science, the smart technology to enhance the functioning of law enforcement is called iCognative – best solution for any and every crime. iCognative’s technology has the power to detect the presence or absence of information connected with the crime in the brain of a suspect. The technology has the extraordinary capability to distinguish between perpetrator and innocents by precisely measuring brainwaves. The whole test is completed in approximately 45 minutes. iCognative technology is based on proven, widely accepted neuroscience fundamentals of P300. Specific crime-related details, founded during the investigation, are used as stimuli to conduct this test. Error-free, easy to use, cost-effective and virtually foolproof iCognative technology is ready to use out of the box at any time, any place. In the case of shooting in Syracuse, the iCognative technology can be of great value to investigators as it can save valuable investigative man-hours and root out worthless leads at the very beginning of the investigation. Once the suspect list has been established detectives can conduct a iCognative test on all suspects and witnesses as it is non-invasive, respects human rights and privacy. Investigation details including known detail such as, time and date of the shooting (September 20th at 9.00PM); the place of the crime (Midland Avenue, Syracuse,); type of weapon used (Gun); caliber of the specific Gun; photos of victims etc., are utilized as Stimuli to conduct iCognative test. All the suspect has to do is sit and watch the words, phrases or pictures while the brain does the talking. Automated and system driven iCognative technology determines with over 99% accuracy if the information under question is present or absent in the brain of every suspect. Brainwave Science has designed the system in such a way the proprietary algorithms that enable analysis engine and the ground-breaking avant-garde system is packed to deliver instantaneous results with a click of a button. This is the power of a team that consists of advanced technologists, neuroscience experts and signal processing experts – this transformation of over 2-decade old science into contemporary iCognative technology has changed the power dynamics for law enforcement agencies at a global level.